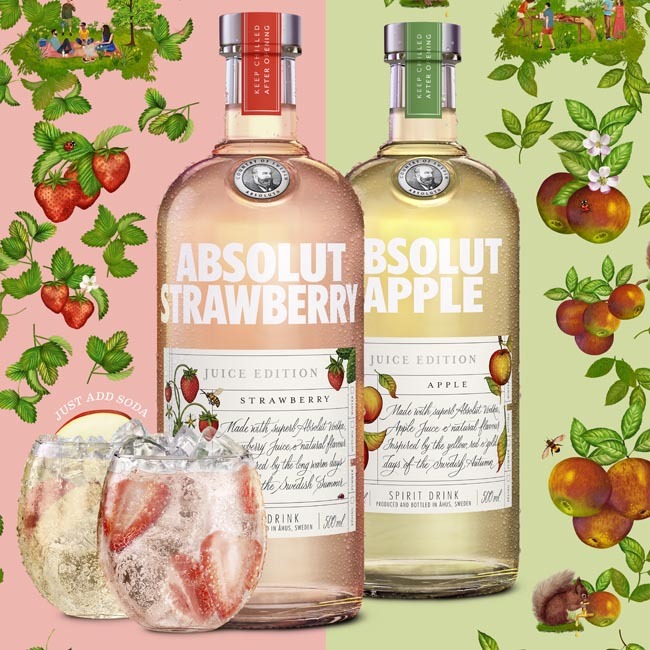 Focusing on the retail space, the world famous Swedish vodka have launched Absolut Strawberry and Absolut Apple into their ‘Juice Editions’. Absolut Juice is made using Absolut Vodka and fruit juice. The new range is presented in 50cl bottles and the drinks have the significantly lower abv of 35% allowing bottles to reach as low as £13.00 in UK stores. The two flavours currently available have been inspired by Swedish seasons, strawberries for the Swedish summer and apple for autumn and are said to be perfect for mixing with soda. The inspiration in design seems to tap in the current craft trend and fruit products which are constantly on the rise in white spirits.